High quality boardroom tables that are available in a range of different shapes and finishes including, Dark Oak, Light Oak, Cherry and White. The square metal legs come in Mocha, Black or Silver powder coated finish. The Tao range of boardroom furniture features strong, durable and sleek boardroom tables that have a professional aesthetic. Manufactured in Italy to a high standard this range has several different styles to choose from. The Tao Boat Shaped Boardroom Table is available in 2 sizes alongside the Tao Boardroom Table. The solid design features a chunky 100mm x 100mm square metal leg design that supports a strong 38mm thick table top. The metal base is available in 3 finishes – Black, Mocha or Aluminum Silver. The table top is available in a variety of finishes including Dark Oak, Light Oak, Cherry or White. 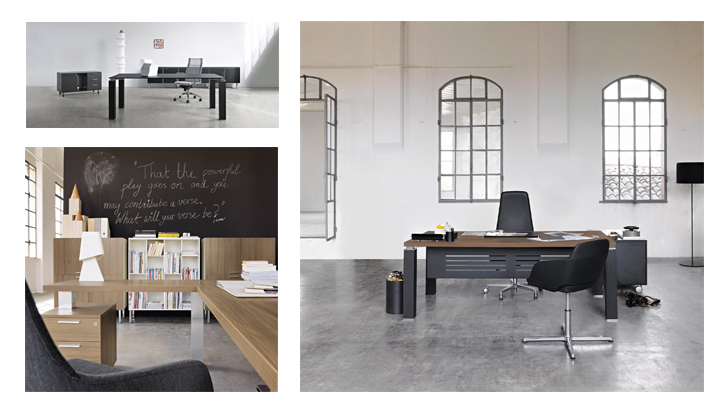 The table features ABS edge protection and is scratch resistant to ensure it withstands long term use in busy executive settings. These boardroom tables are available on a 4 week lead time and with a 3-year factory guarantee. There are 2 Tao Designer Glass tables available in either a square or rectangular shape. The 12mm thick safety glass top is available in Black, White or Mocha and the square metal legs are available in 3 finishes. The feet have a stylish chrome detail and the base features a modern leg spacer and bracket detail. Both glass tables come with a 5-year factory guarantee and are available on a 4 week lead time from Italy. Alongside the classic boardroom and glass designs there are several executive workstations in the Tao range that feature storage solutions to help you keep organised. The Tao range is minimalist in design but also maintains a traditional feel through the use of wooden finishes. This table is easy to assemble, however there is an optional installation service should you need. These designer boardroom tables are delivered in 3-4 weeks from order and come with a five-year warranty. Buy boardroom tables from Office Reality and get a free UK mainland delivery service on all of your orders no matter how large or small.